Actor Liam Neeson has been plunged into controversy after failing to notice a perfectly square black bit of dirt on his living room window and happening to wave at just the right angle to give the unfortunate impression that he was imitating Hitler. Immediately accused of racism by several witnesses, Neeson was today frantically giving interviews and trying to explain that it was a complete misunderstanding, and that he is definitely NOT A RACIST. 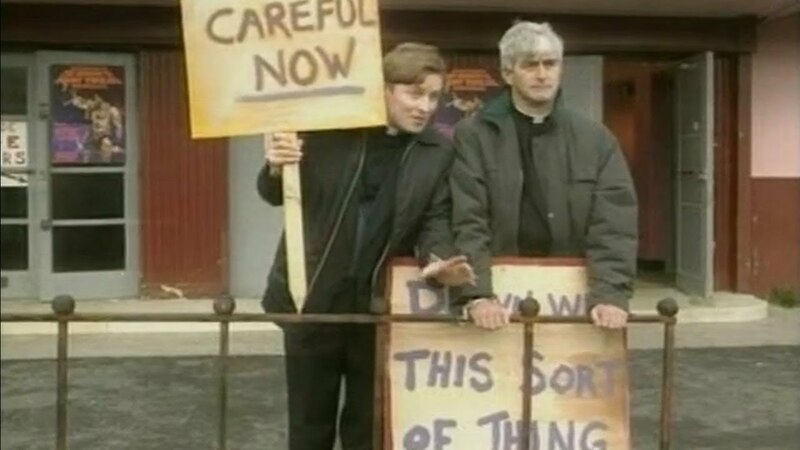 Defence Secretary Michael Fallon has announced that the plan to replace Trident with £100 billion of alarming death-tech has been scrapped in favour of some statues of Father Ted and Father Dougal holding signs saying “Careful now” and “Down with this sort of thing”.